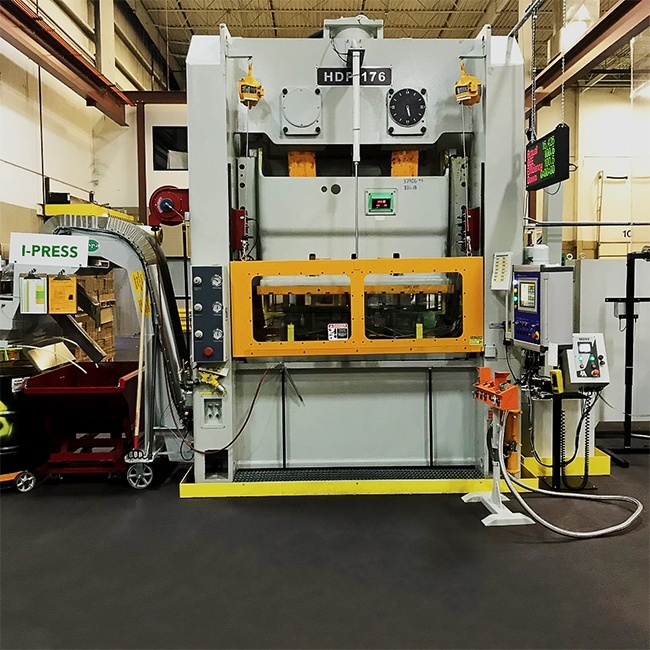 The HDP Series is the perfect choice for high load jobs, featuring a monoblock one-piece frame, greatly reducing angular deflection under load compared to gap frame presses. 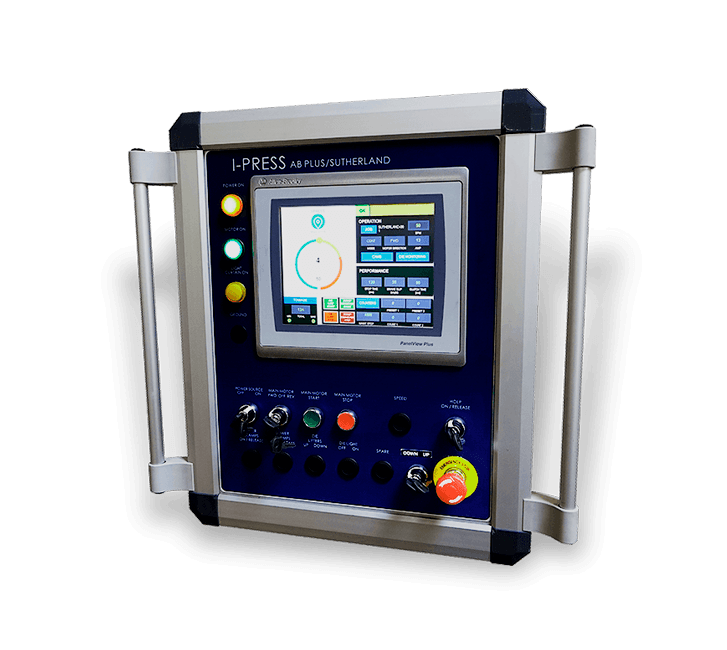 The HDP’s precision drivetrain includes an encoder-based slide position monitor, six-point full-length slide guides, and counter-rotating main gears to eliminate side thrust loads, deliver accurate slide movement and parallelism, and provide longer tool life and higher quality parts. 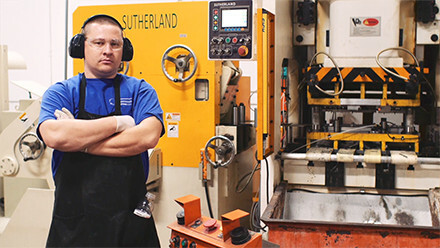 At Sutherland Presses, our mission is to be one of the world’s leading providers of metal forming solutions. 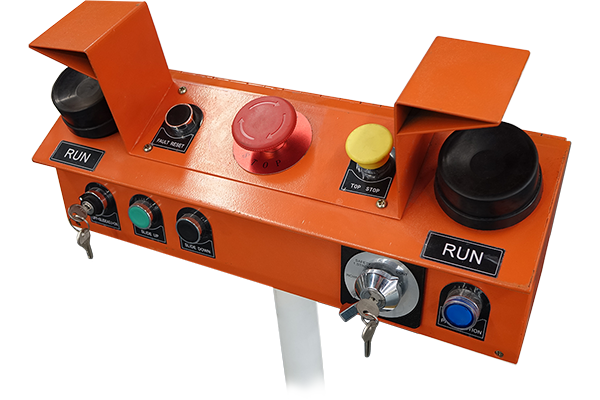 Using our technical expertise, strong partnerships, and pioneering spirit, we seek to develop the most innovative turn-key solutions, reliable machines, I-PRESS controls, and service offerings in the industry.